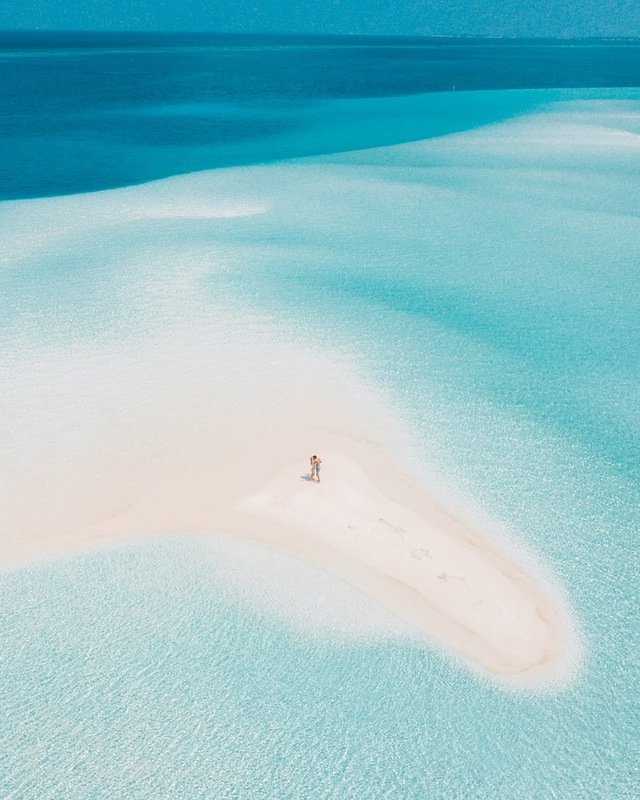 The ultimate Maldives travel guide! You need to read this! 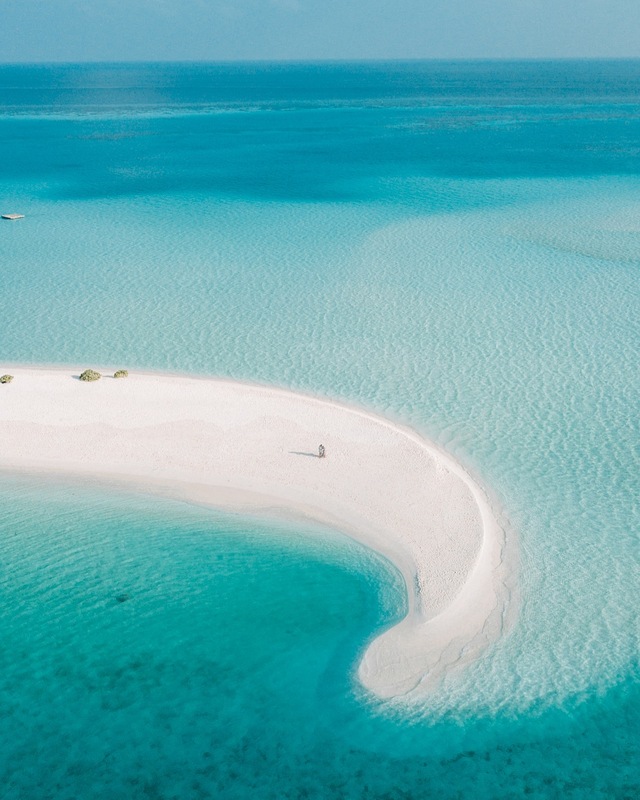 The Maldives are one of these dreamy destinations that everyone has on its bucket list! We have been dreaming to get there for so long and we were not disappointed at all. The Maldives are a real paradise on earth! Turquoise water, white sand and coconut… It’s the perfect romantic destination! It’s also a paradise for divers like us because there are many species to admire! Why to get to the Maldives? 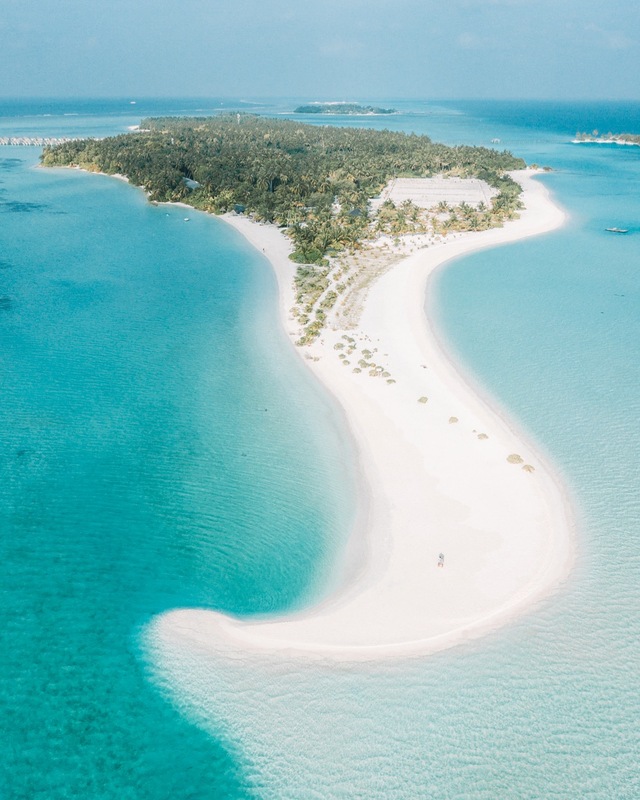 The main reason to go there is of course for the beauty of these islands, the beautiful beaches, made of turquoise water, white sand and palm trees. Also for the amazing weather, if you come at the right time of the year, it will never rains you will the sun sun everyday and the temperature would be perfect. When is the best time of the year to get there? The best time of the year to go to the Maldives is between January and March because it is the tropical time. So it is sunny most of the time and the temperature is around 30°. You should avoid to go there between May and December because it’s not the best season, it may rain a lot and it will be windy! There are more than 80 hotels in the Maldives, and all are at different prices. So you have the choice! For the less expensive ones, a room on the island will costs your around 100$ per night. For the most luxurious hotels, if you want to stay in a water bungalow with a pool it will costs you around 800$ per night. So, it’s depending on your budget. 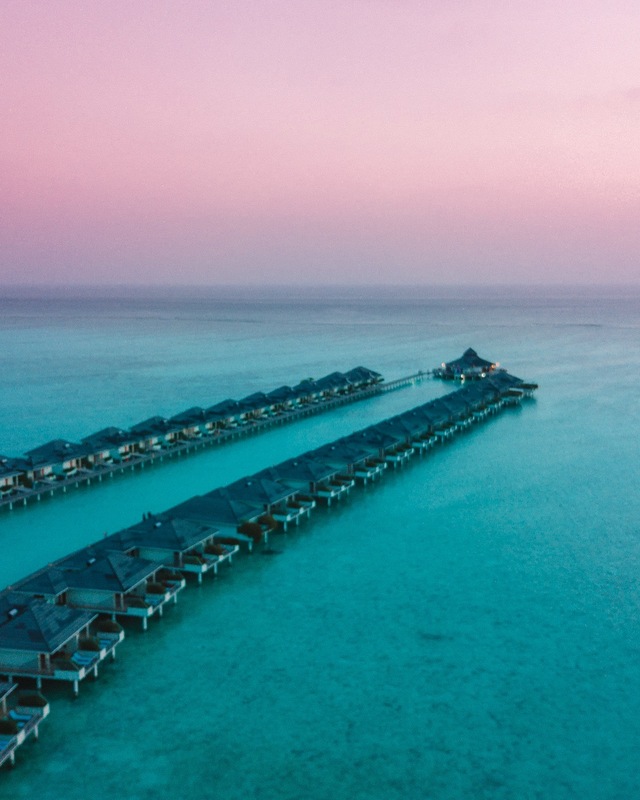 The Maldives can be the perfect destination for a honeymoon and staying in a water bungalow. But it can also be an amazing trip with a low budget if you stay in less expensive hotels. How to go to the Maldives? If you want to go there, you have to book a flight for Malé, the capital of the Maldives. Next, your hotel will arrange for you a transport from the airport to the hotel, because all the hotels are located in different islands. It can be another flight, a speed boat or a seaplane, it is depending of the hotels and what companies they are working with. But you can’t go by yourself to the hotel, you need to tell in advance your schedule to the hotel to let them organise your transportation. Don’t forget to let them know when at what time you will arrive because if no, you may wait a lot at the airport! (yes this is what’s happened to us haha). What activities to do there? You can do diving or snorkeling, the Maldives are a fabulous spot. But, you can also do many activities depending on which hotel you will choose (kayak, surf, paddle, boat trips, excursions to other islands…) But the sunset cruise to see the dolphins is definitively one of the best! There were many dolphins around us, following the boat, it was magical! Also, you can bike around the island to discover secret beaches and sandbanks. You shouldn’t stay at the same beach because the islands out of there are full of surprises! Then, in all the hotels you will find coconuts you need to try it is so good! Also, the sunrises and sunsets are just stunning in the Maldives! So you should wake up early and wait for the sunset you won’t be disappointed! 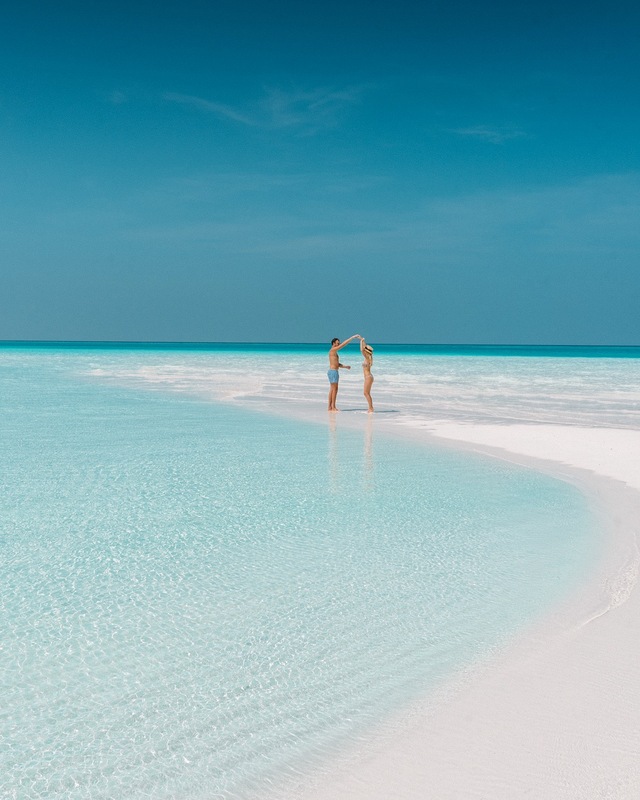 This is our Maldives travel guide ! Tu as une super qualité tu utilise quel matériel ?